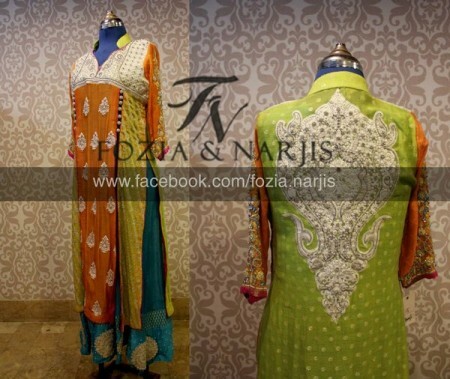 Fozia and Nargis are the experienced fashion designers, who are working in the fashion field since long. 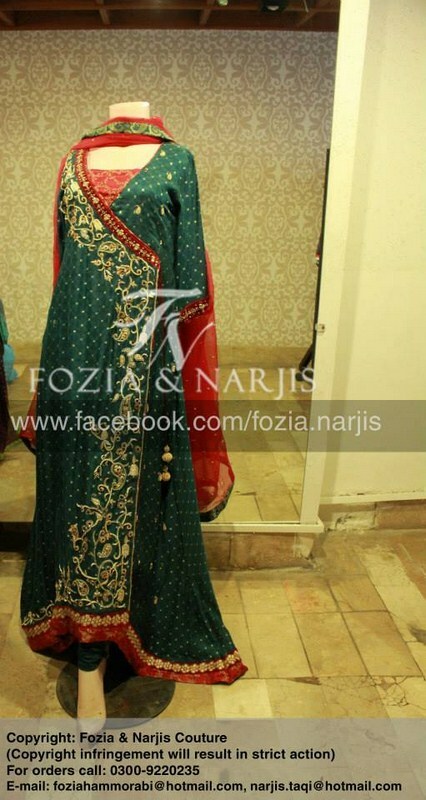 They have displayed various fashion collections of dresses on different occasions. Now both fashion designers have exhibited the formal dress collection for women 2013, which is very attractive and beautiful. 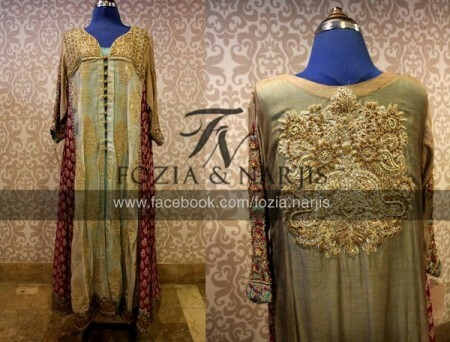 The dresses placed in this collection are prepared with fine quality fabric along with embroidery work in delicate designs and styles. 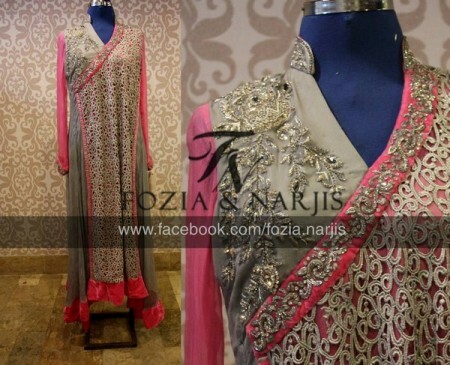 They designed dresses for formal or party wear along with semi formal and casual wear dresses. 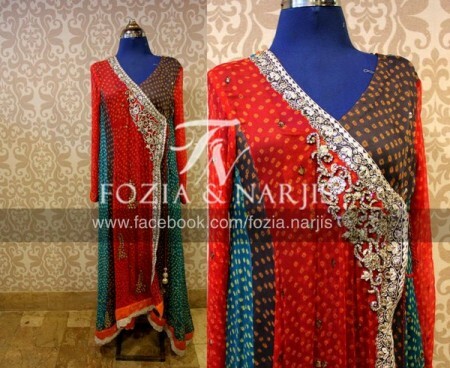 The pictures of the dresses are also shown in the pictures added with this post. The fashion lover women and girls should look at the dresses and the embroidery design in multi colors and trendy designs. You can also make contact with the fashion brand on the email address given on the page of face book of fashion brand. 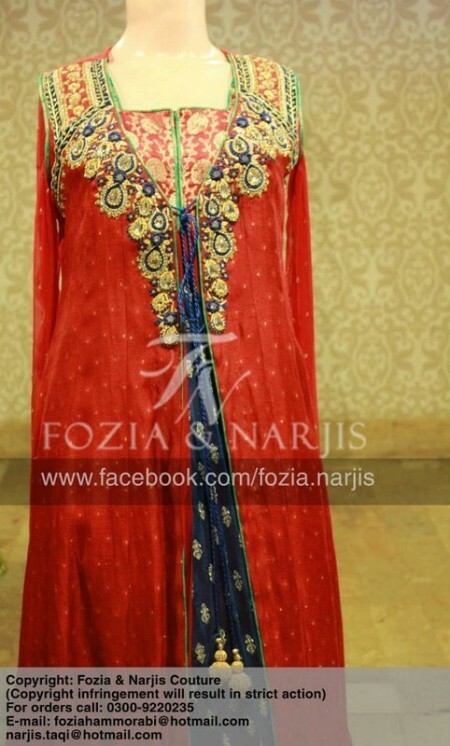 The embroidered shirts, kameez and frocks are paired with churidar pajamas, trousers and tights. Huge variety of fashionable dresses are also present in the outlet of the fashion brand and the customers should visit there to see the whole collection and buy the dress, which looks best for her.